An upcoming Art Ensemble Of Chicago concert in Budapest. 8 p.m. June, 7. 2018. One out of four European concerts will be in Budapest! Their five great, well-trained and individual-minded musicians are in their musical and intellectual and emotional consistency. 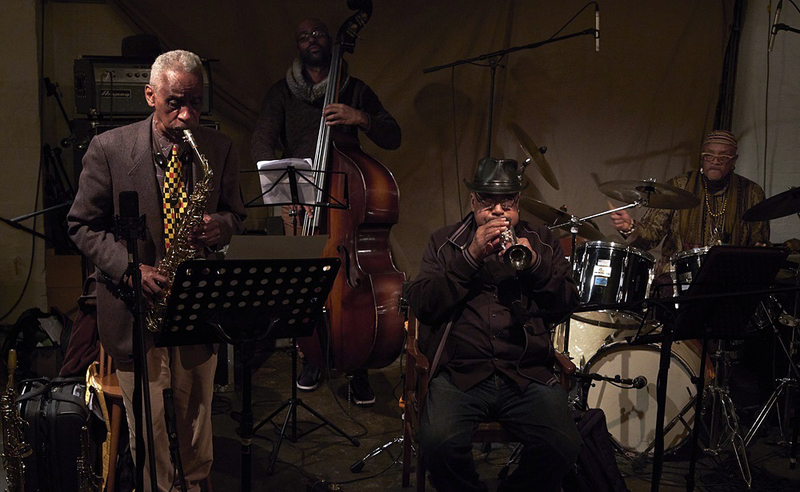 An avant-garde jazz ensemble that grew out of Chicago in the late ’60s, the AEC is notable for its integration of soulful and chaotic musical styles that span jazz’s entire history, helping to redefine what jazz music could be and continue to seek out its future. They have used what they term little instruments from bicycle horns, bells, birthday party noisemakers, wind chimes, and a vast array of percussion instruments. They also include costumes and face paint in performance. Their show in Budapest will be an extremely rare opportunity to experience the ensemble’s audio visual show in person. The concert is within the frame of GetCloser Concerts. Grab your seat before they are sold out.